Y'all, I know that I periodically do these book tours and give away the books. The offers for the tours come through periodically and I get to choose the ones which interest me. There have been some which have been just meh. Others have been decent. This one is a better finished product, book-wise. I enjoyed the book and learned in the process. 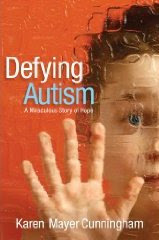 The book is Defying Autism, by Karen Mayer. It's simply her story. On to the tour! Oh, and I'll be giving this book away. Leave me a comment and I'll choose a winner randomly when I return from my trip next weekend! James is wonderful! He is 15 years old going in to the 9th grade. He’s six foot tall and an amazing athlete. God’s promise is that he will restore our minds daily and James has caught up with remarkable speed. He is still about 2 ½ years behind academically, and in three resource classes, but is making up lost ground daily. He is completely healed from the oppression of autism. I read this skeptically, even as a Christian reader. 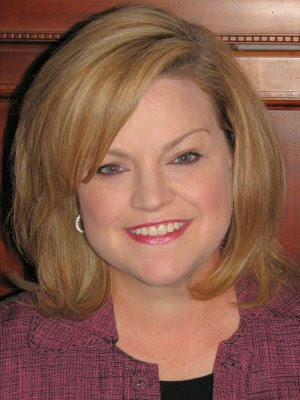 I was glad, thoughout the book, to see Karen saying that this was simply HER story. But I know that God is bigger than everything, that He can do what she says He did for her James. An interesting take. I'm somewhat skeptic, but am pleased as anything James is better. I am very interested in reading this book. my child has Asperger's, so I'm skeptical of "cures", but I know that kids with autism can be taught to cope and succeed in our world. And in other news, you've been tagged! Check out my Friday post for details. Am skeptical to. But lovely to hear that James is doing so well.